A trade show contest can play a large part of trade show marketing, and is often what draws people to your trade show exhibit over others. 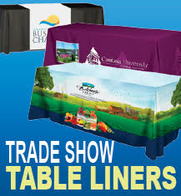 A successful trade show contest can also create name and brand recognition for your business, and increase the company’s visibility at the show. Planning a trade show contest thoroughly is essential for its success as well as the overall success of the trade show marketing campaign. 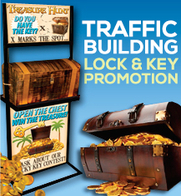 Choosing a theme for your trade show contest is one of the first steps in pre-trade show marketing. Finding a theme that goes well with the company’s products is essential. 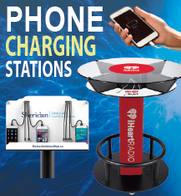 If a business manufacturers power tools for example, a water theme would not be as effective as a do-it-yourself or new home construction theme would. 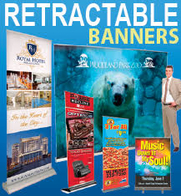 The theme chosen will likely carry over into the trade show marketing materials selected, the prizes for the trade show contest as well as any giveaways at the booth – so choose carefully! 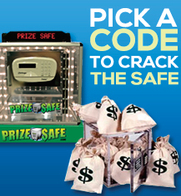 The prizes given away as part of a trade show contest should also reflect the company’s products and services. With power tools, for example, some prize options may be the power tools themselves or a gift certificate to a home improvement store. 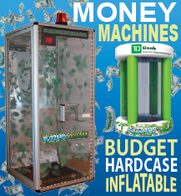 Of course free money is an excellent draw, and a trade show contest that includes a cash cube money machine swirling with free cash will always work for any business. 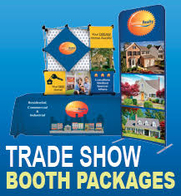 Trade show contests to win items such as a massage or vacation getaway can also usually fit into most business’s trade show marketing themes. Your marketing team may come up with an amazing contest idea, but if the trade show rules and regulations don’t allow even for a part of what will make the idea work, it is rendered useless. Understanding the trade show’s rules and regulations can help with the creation of your trade show contest idea, and having this knowledge before developing the trade show contest is essential for successful trade show marketing. When thinking about staffing needs, make sure to have at least one staff member dedicated solely to the trade show contest. If people were to stop by to enter or participate in the contest, and there was no one to help them it does not reflect well on the company! But, more importantly, the opportunity to exchange information and talk about the business/products would be lost. Don’t miss out on valuable exchanges with customers (or potential customers) simply because of poor planning of staffing needs. Marketing the trade show contest prior to the trade show is what will help people to know about and make plans to stop by the booth. 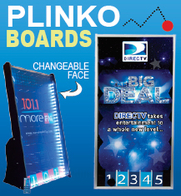 Talk about the trade show contest on the company website, send pre show post cards with info on the contest. Personal invitations to the trade show contest can also be a nice touch. Marketing the trade show contest can occur near the site of the show as well. Places like the airport, billboards near the venue, hotels where attendees are staying, all of these places are fantastic spots to market the trade show contest. Regardless of where or how you choose to market the trade show contest, always make sure to have the booth number clearly visible within the information. If attendees can’t find you, they can’t become contacts or more importantly, customers. 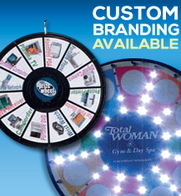 Trade show contests can be fun for attendees as well as a highly functional part of trade show marketing. If you plan a trade show contest properly, it will fulfill its purpose of helping to bring in many new customers and contacts for your business.